Getting organized - it's something that likely makes most cringe to think about. It can be overwhelming to know where to start, hard to find the time, and almost impossible to motivate yourself to do it. But, I have a few tips that will hopefully simplify things for you. Although Spring is behind us, it's never too late to get organized. Trust me...once it's done, you'll wonder why it took you so long to get started. 1) Create an ideal 'work atmosphere'. Turn on some music that will keep you upbeat and focused on the project. Pour yourself a drink. Intermittent dancing is always encouraged. 2) Organize one area at a time. Break your project down into small areas. It always takes a bit longer to work through a project than you think, so keep it simple. If you put too much on your plate, you're likely to get frustrated because you can't finish everything. 3) Ask yourself, "How do I live?" This will help you determine how your space needs to function; ultimately, you can come up with a course of action that will accomplish just that. Stay realistic! As great as one idea might seem, if you implement something you can't maintain, you've wasted time, and still don't have a system that works for you. Keep your own habits and tendencies in mind. 4) Take the opportunity to purge and de-clutter. There is no better feeling than the sense of accomplishment that comes from lightening the load and ridding yourself of clutter. We've all heard the suggestion that we get rid of items we haven't used in over a year; I've found this to be pretty sound advice. Don't stress yourself out -- follow the idea within reason. It takes a little bit of discipline, but it'll enable you to find and access the things you do use regularly with ease. 5) Take inventory. 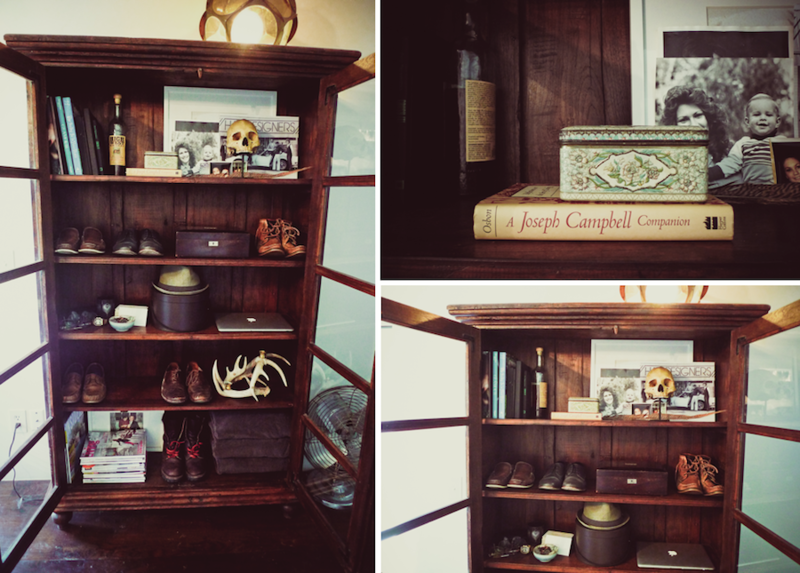 Getting organized is a good way to be reminded of what's in your house. Maybe you had a huge, Costco-size package of paper towels in the basement that you didn't know about. Save a little dough, and avoid purchasing things you've already got. 6) Recycle what you're getting rid of! Earn some cash by having a yard sale. If you don't have enough stuff to facilitate your own, see if neighbors will join you in a block-wide extravaganza. Have a clothing swap with your friends or family; my sisters looove it when I clean out my closet. Or, last but not least, donate to charity. Regardless of your opinion, someone out there wants or needs your old gear. Let them have it. 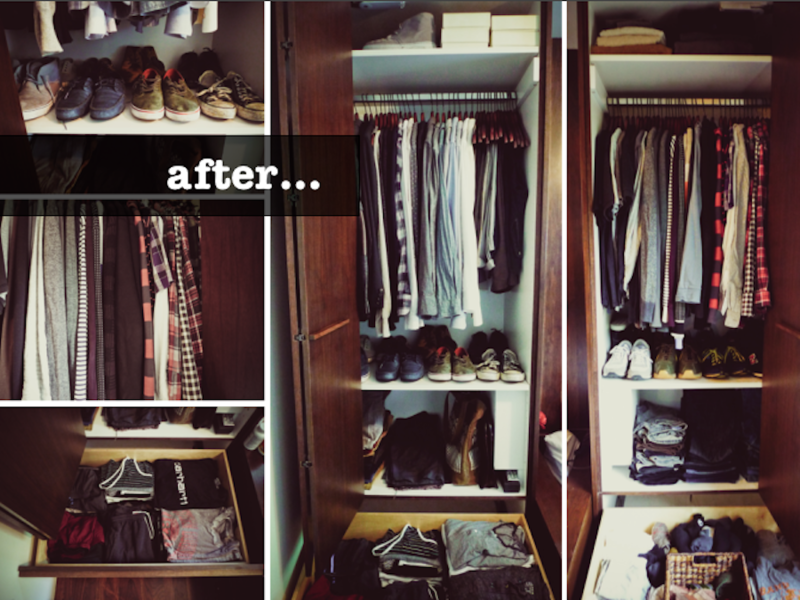 Organize clothes by category (i.e. pants, shirts, skirts). From there, you can break it down even further. Organize jeans by category (i.e. skinny, wide-leg, straight leg) or shirts by sleeve length. Fasten at least 3 buttons on all shirts. This will help keep the shirt on the hanger, and prevent wrinkling. Swap out seasonal clothing. This will create accessibility for the current season's clothes. Don't hang sweaters. They'll quickly stretch out and become misshapen. It's better to button them up and fold neatly on a shelf or in a drawer. Use uniform hangers. This allows for more tidiness and keeps the clothes at the same level so that you can see everything. Extend your wardrobe. Break up suits and "outfits", so that you remember to wear them as separates. Hope this helps! 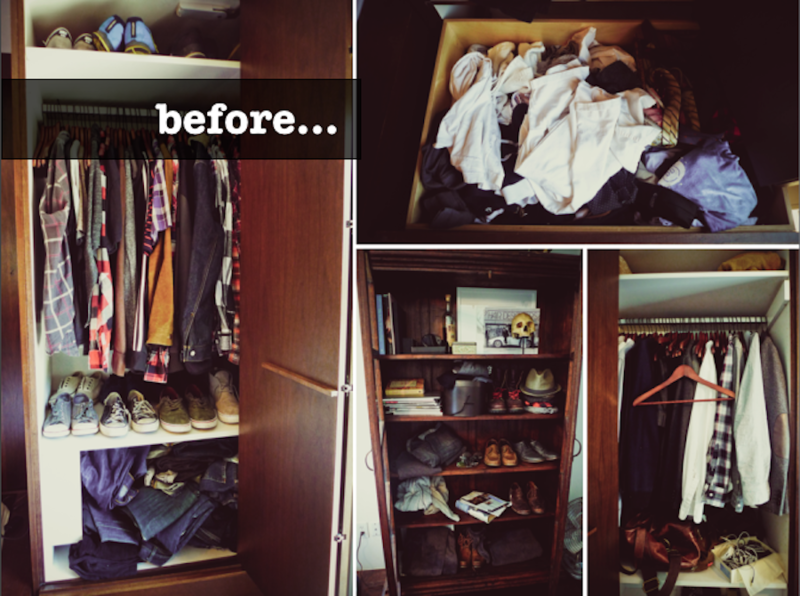 After you've organized once, you'll be far more likely to keep things spit-spot in the future.